Anadarko said on Thursday it would seek long-term charters for around 16 liquefied natural gas (LNG) tankers it would need to ship gas from a proposed project in Mozambique. The independent U.S. energy producer aims to take a final investment decision on the $20 billion project in the coming months, having signed up long-term buyers for its LNG. Anadarko said all the contracts signed so far, for over 9.5 million tonnes a year (mtpa) out of a capacity of 12.88 mtpa, were on a delivered ex-ship (DES) basis. 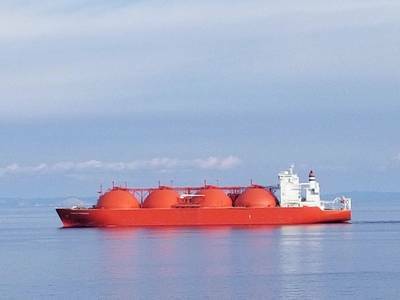 The company could have sold the LNG on a free on board (FOB) basis, as do many U.S. LNG projects, which leaves the buyers to organise the shipping. "The project needs approximately 16 LNG vessels to service the DES contracts," Helen Rhymes, an Anadarko spokeswoman, told Reuters. "While the specifics of the tendering process are confidential, the project plans to enter into long-term time charters with selected ship owners rather than own the vessels. An invitation to tender will be issued sometime after FID (final investment decision)." Anadarko will start work on the construction of the onshore terminal once it takes the final investment decision. Already several thousand workers are onsite clearing the ground for the facilities. Anadarko's project is one of the largest planned in the world, alongside Exxon Mobil Corp's LNG project in the same remote northern region of Mozambique. Both are 1,000 km (600 miles) north of Beira, the town at the centre of the devastation from a cyclone last week. Both projects will take gas from the Rovuma basin offshore, where gas has been found in such quantities that it amounts to a decade's worth of European gas consumption. Anadarko has LNG supply deals with Japanese utilities Tokyo Gas and Tohoku Electric, European utilities Centrica and EDF, India's Bharat Petroleum , China's CNOOC, Indonesia's Pertamina and Royal Dutch Shell.